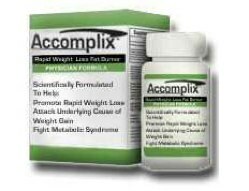 Created by the well-known Advanced Pharmaceuticals, Accomplix is a non-prescription diet pill especially designed for heavily overweight or obese people. Its triple action involves appetite suppression, increase of the metabolic rate and control of the insulin levels in the body. Unlike the banned Acomplia, or the banned Ephedra which caused depression and other psychiatric problems, Accomplix is though to be the hottest diet pill in the USA, because of its good results and because it meets the FDA guidelines for slimming pills. Accomplix also comes with a 100% money-back guarantee. As we mentioned above, Accomplix is considered to be a successful aid against obesity, and it seems to have formed a trend in weight loss in the USA. Dieters prefer it because it can act in the brain and trick it into thinking that the stomach is full. In this way, they do not feel the pangs of hunger, which are the main reason for overeating. However, apart from Hoodia Gordonii which is a proven and effective substance, all the other ingredients Accomplix contains are rather simple and common. But the most effective ingredient in Accomplix seems to be Hoodia Gordonii. This is the extract of a cactus-like plant which grows in or around the Kalahari Desert. Native people have used Hoodia to suppress their appetite for years, and today, there are a lot of slimming pills containing Hoodia to help dieters eat less and lose weight successfully. However, consumers have to be careful because in order for the ingredient to be effective there must be at least 400mg of raw powder in each capsule. Can Accompix Cause Side Effects? 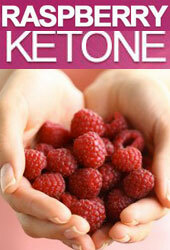 As with most fat burners which contain caffeine, the most common side effect is a feeling of anxiety or restlessness. Also, if the pill is taken late in the evening, it may cause light sleeping disorders. Generally, Accomplix is a safe diet pill and there have not been any reports of serious side effects. Is Accomplix an Effective Diet Pill? Despite its popularity in the USA, we don’t think that Accomplix would be the best choice for you. Also have in mind that not everybody reacts in the same way and there may be some dieters who experience faster weight loss results than others. 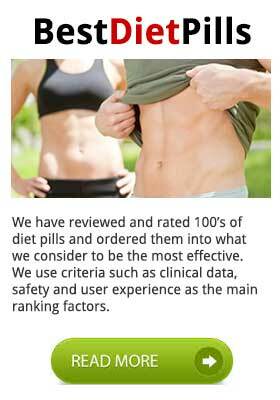 We wouldn’t recommend Accomplix for UK dieters as there are several other effective diet pills they could choose from. Moreover, since the product comes from the USA, the cost of shipping will make its already high price even higher. Another reason for not recommending it is that we do not have exact information on the quantities of each substance it contains, or any results concerning clinical tests or scientific studies of the product. If your diet consists of mainly carbohydrates then PhenQ would be your best weight loss option. 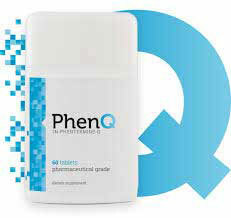 PhenQ is one of the new breed of diet pill complexes. With its very impressive weight loss results and testimonials, PhenQ is fast becoming one of the most successful diet pills around.